Use this meditation to open your heart, soothe your soul, connect to the divine bliss all around you. Use this meditation for a relaxing way to end the day, guiding you off into a deep sleep. Great for eliminating insomnia, alleviating jet lag, or simply experiencing your deepest sleep possible. Use this open-eye meditation for two with your lover or partner to activate and ignite passion within. This meditation is soothing and relaxing. Use this meditation in the same way as you would the other meditation for two, but the music on this track is active and upbeat. Use this meditation to eliminate negative or fear-based thoughts. A Guided Meditation and Talk: You've tried everything, so just surrender into Truth Now. Release the comings and goings. Lay down the weapons and do not hide them behind us. Creator and Executive Producer of “On Meditation” discusses her personal journey while making the film and her hope for the future of conscious media. Yoga and Meditation teacher Lauren Toolin talks with Tracee Stanley about her journey to meditation and how a Tantric meditation practice can be useful for turbulent times. 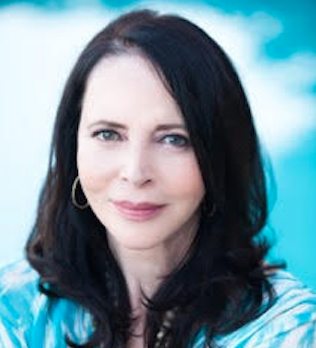 Patricia Karpas interviews Kristin Neff, the author of Self Compassion, The Proven Power of Being Kind to Yourself and a pioneer in this field. Patricia Karpas interviews Tommy Rosen, the founder of Recovery 2.0, an organization that helps people thrive in recovery from addiction.